Your EMPLOYEE ACCOUNT have been compromised. The is the cause of the recent increse in unsolicited emails. 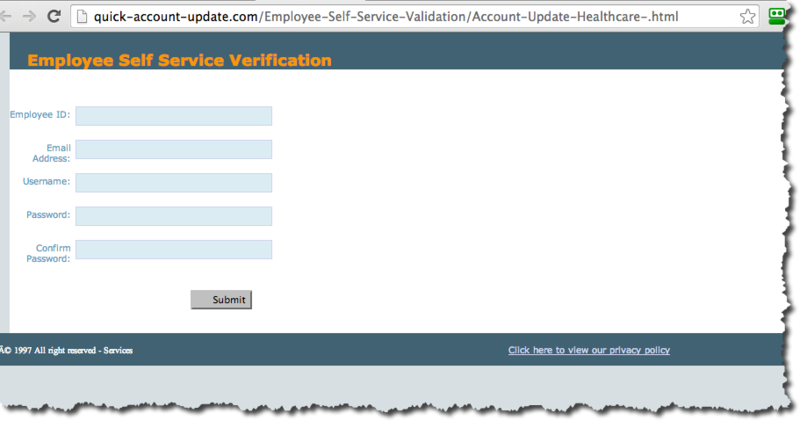 You are to CLICK HERE <http://quick-account-update.com/Employee-Self-Service-Validation/Account-Update-Healthcare-.html> and verify your account so that we can effectively thwart the damage done by phishing on our network.